As you know, Google has been beta testing the new Google Search Console. We shared some screen shots of that new interface. But more people are releasing more and more screen shots of the new beta interface. 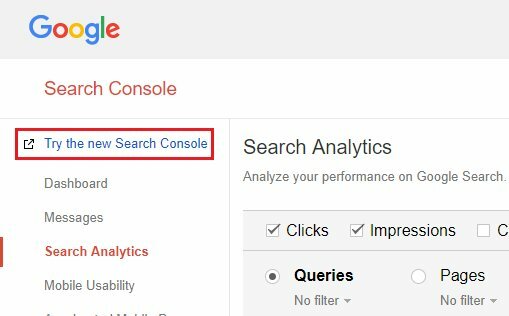 Again, if you are part of the beta, you should be able to access it at https://search.google.com/search-console/. The link reads "try the new Search Console." Like I said, I do not see the new link or the Google Search Console but I can say that after seeing these screen shots, I am very excited for this to be released. It looks like they have done an amazing job and we owe Google some respect and gratitude for building and investing in webmaster related tools.